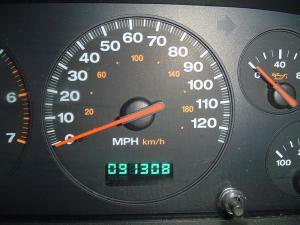 At present some motor traders illegally tamper with a vehicle's odometer to show it has driven fewer miles than it actually has, thereby increasing its value. In a bid to tighten the laws and bring about harsher penalties for those found guilty of the practice, car dealers who clock cars will be banned from trading altogether, the EU has said. Dishonesty is a very damaging trait to be labelled with as a car dealer - having a reputation for deceiving customers will not only hurt their chances of securing business, it could also have a detrimental effect when it comes to obtaining a motor trade insurance quote. Needless to say, insurance providers will be less likely to offer a quote to someone who has a track record of lying about facts in the past. Commenting on the EU's new law, Neil Hodson, managing director of HPI, an organisation that helps second-hand buyers confirm vehicle mileage and history, said: “HPI has been a committed campaigner against clocking and the exploitation of this loophole, so we applaud the EU decision. Penalties already exist in the UK to ensure that dealers do not sell clocked cars but the new EU-wide regulations will help add further enforcement against this practice.